From a super lightweight 150 gsm Crepe Jersey to our heavier 350gsm Soft Shell Jersey, you won't be limited to what you can achieve. Knitted jersey with bobble feature. Great for garments needing texture. Vintage Sweat Jersey with generous stretch. Grey marl cotton loop back adds vintage look. I was pleased with the service and the product, given it was for tapestry the colours were not strong enough and it is hard to identify them as you can see through the fabric too much. 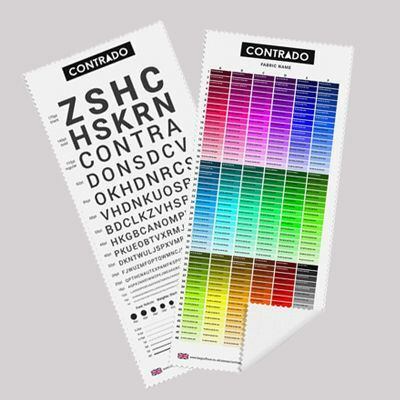 A colour box chart would also be helpful. Otherwise v good. Great quality and turn around time, will be using again! All of these jerseys are perfect for making clothes and apparel accessories. 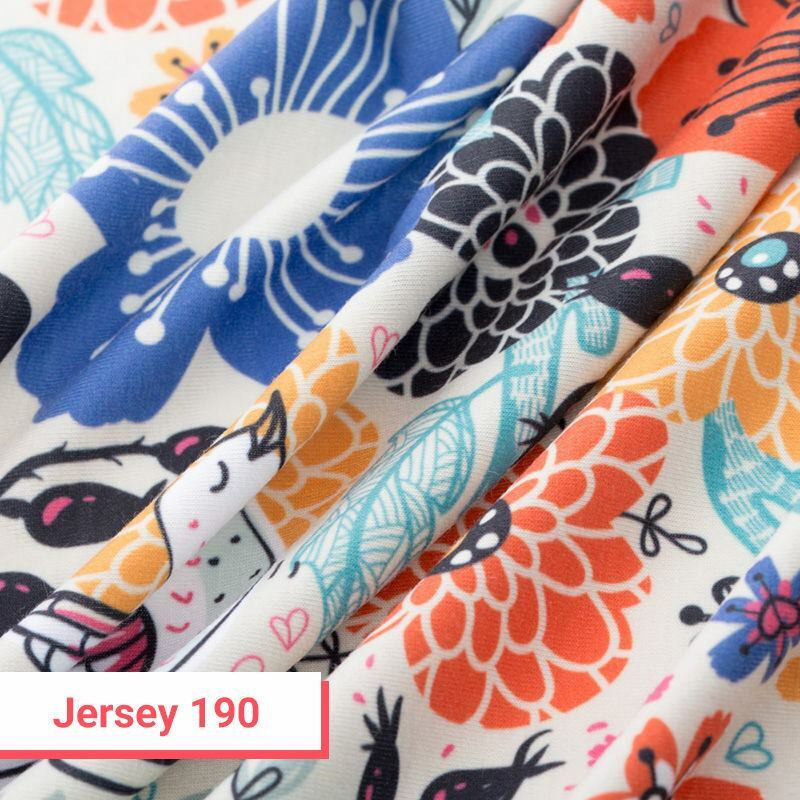 Use the jersey crepe fabric to make a gorgeous shawl to reflect your own individual style. You could give it as a gift to a loved one or a friend for that special personal touch. Or use the heavy UK jersey fabric to create a pair of custom leggings. 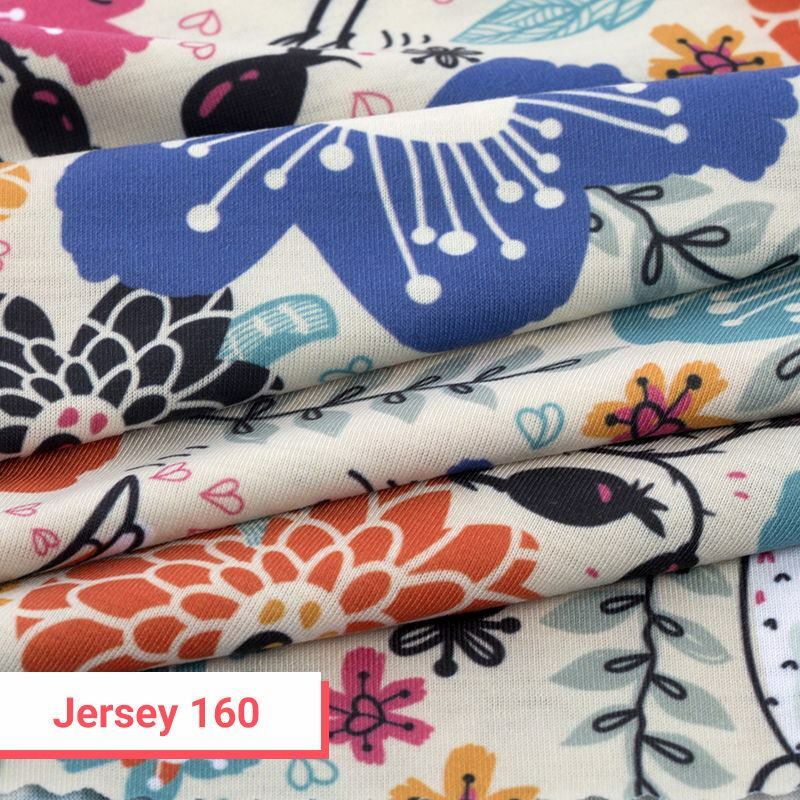 Whatever piece of fashion you decide to make at home, choose jersey printing to make something truly gorgeous and comfortable. We use a specialist dye sublimation technique that bonds the ink to your Jersey fabric, creating a long-lasting print that won't crack or peel. It's then cut to size by our fabric technicians according to your custom dimensions and finished either cut on the line, hemmed with white thread, hemmed with black thread or left as it is. The print quality on our dye sublimation jerseys is clear, defined and bright. Some of our jerseys are textured, such as the bobble jersey, or padded with extra insulation such as the quilted jersey. Browse our range to find the right one for your DIY fashion needs.